MISFITS And OSAKA POPSTAR – New York City In-Store Signing On October 27th! 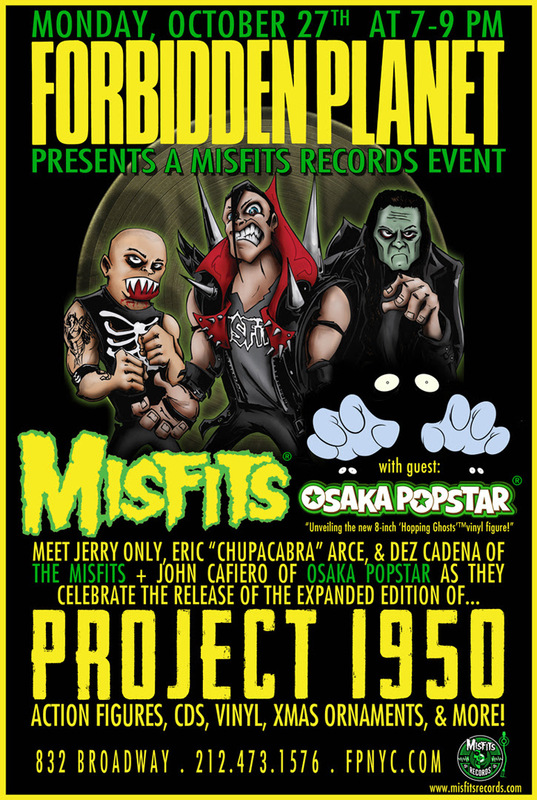 Misfits Records celebrates the release of the new Expanded Edition of “Project 1950” with the Misfits (Jerry Only, Dez Cadena & Eric “Chupacabra” Arce, and guest John Cafiero of Osaka Popstar at Forbidden Planet NYC! 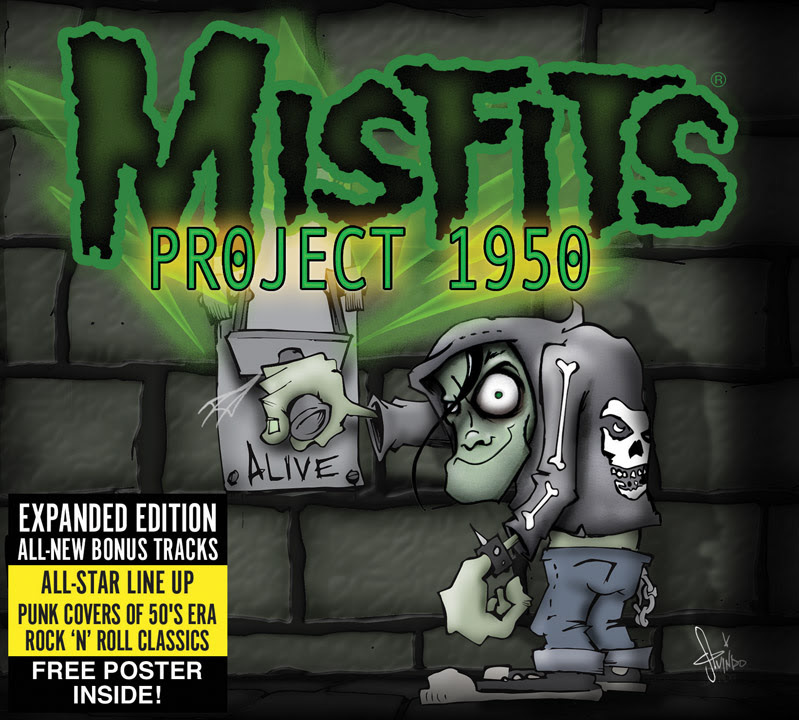 The (previously out of print) “Project 1950” CD returns in an Expanded Edition featuring newly recorded bonus tracks, expanded packaging art, liner notes plus FREE poster inside! Pick up a signed copy at Forbidden Planet NYC (832 Broadway) on Monday Oct 27th from 7 to 9pm and look for other surprises to be available at the event. Don’t live in the area or can’t make it in person? PRE-ORDER signed CDs and more from Forbidden Planet online NOW. Click Here for pre-order availability through Forbidden Planet online! This entry was posted on October 25, 2014 at 2:44 pm and is filed under horror punk, Music, music news, Punk rock, rock music, rock music news with tags horror punk, metal odyssey, Misfits, osaka popstar, Punk rock, the misfits. You can follow any responses to this entry through the RSS 2.0 feed. You can leave a response, or trackback from your own site.